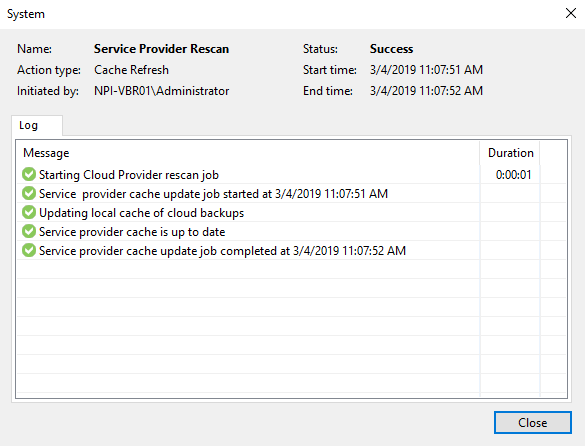 With the release of Veeam 9.5 U4, the client must be running version 9.5.4.2615 to utilize the DSM Cloud Connect service. 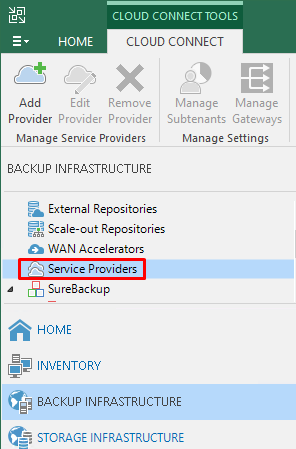 DSM only supports full failover as of U4. 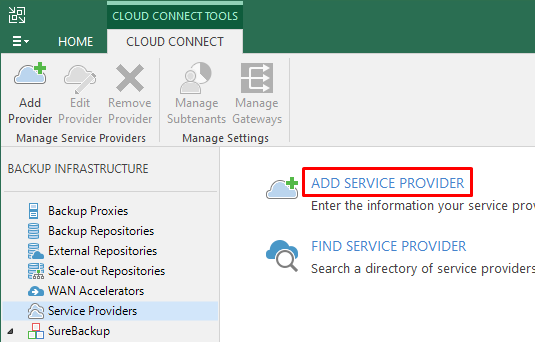 To establish a service provider connection with DSM’s Veeam Cloud Connect service, perform the following steps. 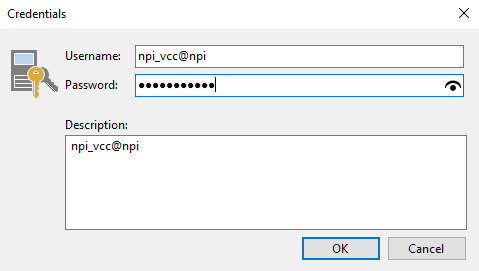 Enter in the following information. This should have been provided during the onboarding session. 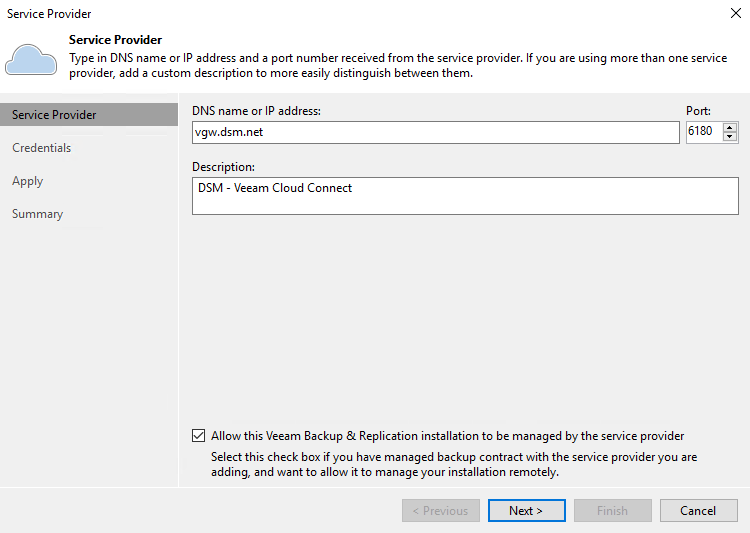 If you don’t have your DSM – Veeam Cloud Connect Credentials please contact your assigned DSM Project Manager. 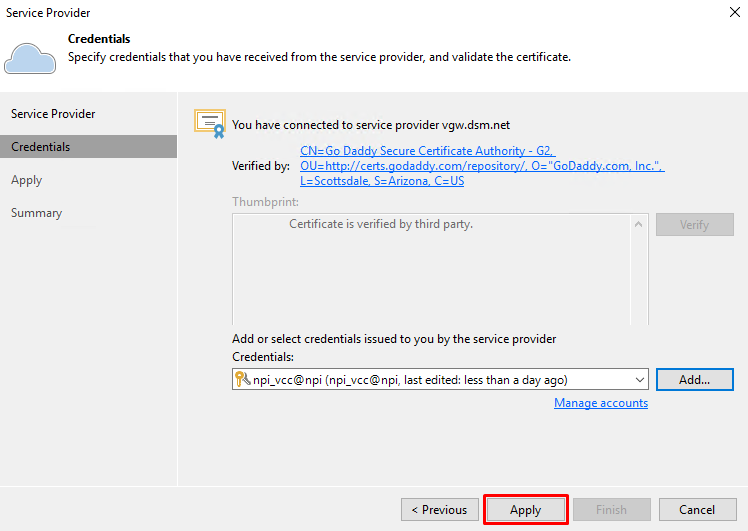 Verify that the reported Replica Resources are correct for CPU, Memory and Storage. 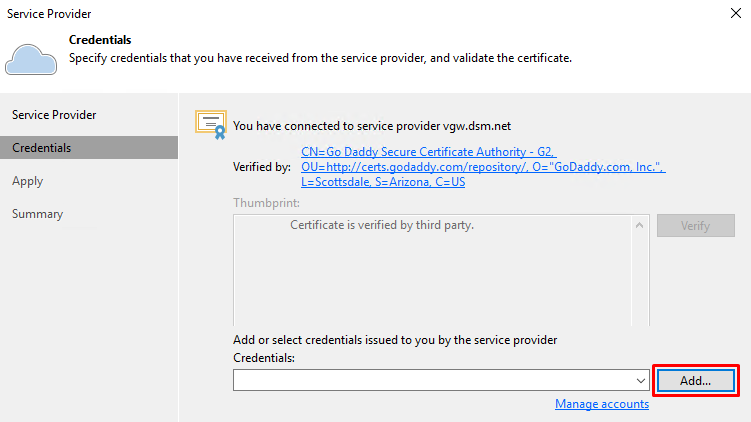 Verify that all tasks completed without error. 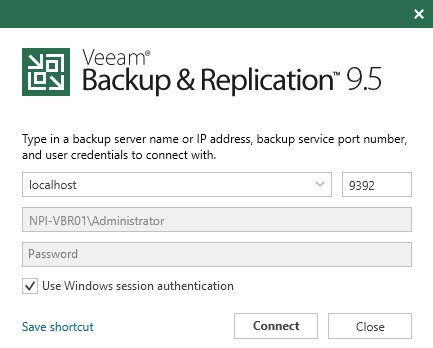 The Veeam console will re-scan the new service provider to update local information. 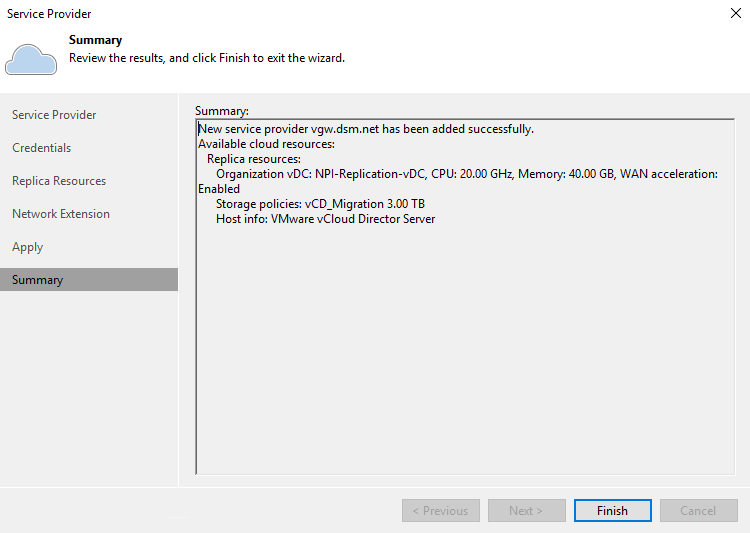 You have successfully added DSM as a Veeam Cloud Connect Service Provider. 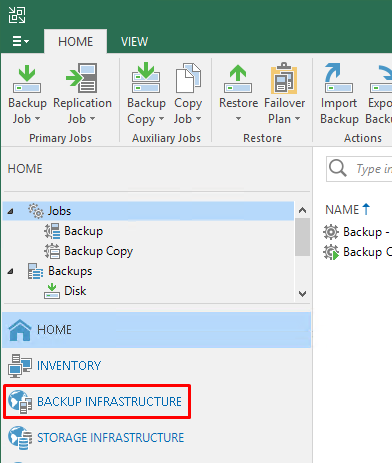 You can view the new Service Provider in the Veeam Backup and Replication console.